Protein bars just keep coming on strong. And it’s no wonder either? Women and men alike seem to have more to do than yesterday and less time to do it? They come in enough flavors to suit anyone and are power packed with nutrition. The options are endless and the grab and go convenience makes them the perfect snack, and can even serve as occasional meal replacements. Whether you’re exercising, dieting, eager to maintain a schedule or the best healthy lifestyle — protein bars can be a lifesaver. Here’s a review of the best protein bars women are loving everyday. These are not come and go fad protein bars, but the bars that have stood the test of time and continue on as the best. What About Protein and Working Out? 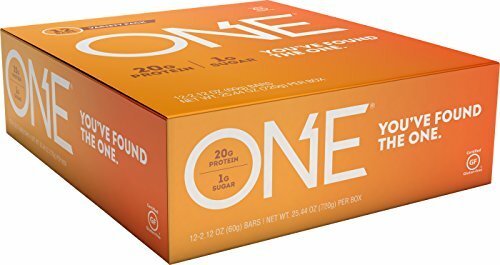 What Flavors Do Zone Perfect Nutrition Bars Come In? Are OhYeah One Bars Healthy? Why Depend On OhYeah Bars for Your Protein and Nutritional Needs? Why Eat Muscle Pharm Combat Crunch Bars? What About Muscle Pharm Taste? Whether you’re an inspired athlete or a housewife, Zone Perfect Bars will hit the spot. Not only are Zone Perfect Bars full of the protein you need, they have a heavy focus on the vitamins your body craves. You find vitamins in most other protein bars as well, but nothing like the 19 vitamins blended in with the 14 grams of protein in these. When it comes to skipping a meal, an addition to a piece of fruit for breakfast, or a mid morning snack — you’re covered with Zone Perfect. Let’s be honest here, breakfast still remains a critical meal for the day. Getting a real kick from a dose of vitamins can boost your energy levels for the rest of the day. After a morning of work on the job at the office, or in your home, having a Zone Perfect Bar will give you that much needed re-energizing at lunch, too. It’s crucial after a workout to replace proteins in order to repair torn muscle fibers. Whether you lift weights, get your exercise from running or walking the nutrients in these bars are indispensable for protein replacement. I can find as many as 13 favors, all packed with the same awesome nutrients and five different sizes. Whether your favorite protein bar is peanut butter, chocolate chip cookie dough Zone Perfect has you covered with many more in between those. What about keeping your kids healthy with Zone Perfect Kidz bars. These things are packed with 23 vitamins and minerals and a great source of protein to help keep their bodies growing. 5 grams of protein in every bar with absolutely no artificial colors or flavors. Kidz Bars come in 3 flavors — Yellow Cupcake, Chocolate Cupcake, and Sugar Cookie. Zone Perfect protein bars are super tasty and super nutritious for everyone. If you need a pick me up, a replacement meal, or just a healthy snack to beat the food cravings, ZonePerfect is always the right choice. Matters not which flavor or model bar you choose, you’ll never need to worry about added alcohols, artificial sweeteners, or flavors _ just pure nutrition. Zone Perfect Bars are perfect for anyone. If you’re an athlete, looking after your health, need a quick, tasty and nutritious snack, or making sure your kids get the best snacks — these bars are for you. There’s no shortage of protein bars on the market so it’s always important to chose the ones that come with real nutritional value. Quest has several products in their line and you simply can’t go wrong with Quest Nutrition Protein Bars. Quest Nutrition continues to stick with their own mission statement of revolutionizing food and making clean eating fun. They started out with the idea of making their protein bars taste good while never compromising on the nutritional side of their product, and still strive for that goal. They know you eat for enjoyment, and that’s why they never let you down on the taste side. Quest has always been known and continues to lead the way in tasty nutritious products. Look for a whopping 20 grams of protein and only 4 grams of carbs combined to make a scant 190 calories in the Quest Nutrition bars. and with 20 flavors to choose from you’re sure to find just the one you crave. While some protein bars receive complaints concerning them to be too tough to eat, Quest bars are made to be chewy and quite easy to consume. Their made with all natural ingredients and no artificial sweeteners, gluten and soy free and no added sugars. That makes Quest an excellent choice for anyone worrying about those types of allergies. Of course if you are careful about allergens, you need to know that Quest Nutrition does use very real ingredients in their products. You’re sure to come by chocolate, cocoa butter, and milk in their bars to enhance flavors and make them tasty. In fact their ingredients will include sea salt, Stevia, Erythritol (a natural sweetener found in many fruits and is calorie free), Sucralose (approved by the American Diabetes Association for all three types of diabetics), Protein from milk products, corn fiber, almonds, peanuts, cashews, palm oil, Calcium carbonate, and thickening agents. Quest protein bars are always a favorite among athletes and bodybuilders. Because they are so packed with vitamins and proteins while maintaining a tasty product, word of mouth naturally spreads. Quest started out with only two flavors in 2010, but has grown to over 20 unique flavors to keep most anyone satisfied. There’s plenty of flavor options for everybody with packs often containing as many 12 flavors to keep a variety on hand for every mood. Quest Nutrition Protein Bars has continued to expand over time and is one of the most popular protein bar companies today. They strive to accommodate our nutritional needs while maintaining a tasty product at a reasonable price. The One Bar by OhYeah are state of the art and highly focused on quality and taste of all their products. This quality and taste of the OhYeah One Bars is exactly what athletes and other consumers continue to rave about. If you’re a fan of birthday cake flavors, your really in luck with the One Bars. The Birthday Cake Bar is a long standing favorite but there’s still 10 more flavors. The most popular among their 11 flavors has to be the birthday cake, and if you aren’t a fan of a traditional birthday cake flavor, then you’re in luck. If you love sweets, you’ll love oh yeah one bars for sure! They’ve dedicated all their protein bar flavors to desserts and are perfect for those with a sweet tooth. All 11 of their flavors are dedicated to desserts, making them the perfect pre or post workout snack for anyone with a sweet tooth. All of these flavors are guaranteed to have only one gram of sugar, and upwards of 22 grams of protein. They’re just about as close to a candy bar as you can come with a protein bar for sure. You’ll never need to worry about that bitter after taste that comes with so many health bars either. These things are good from the front to the back, through and through. No doubt that they pack a softer and richer flavor than any of their competition. In fact it’s hard to believe you aren’t eating dessert to get your protein. Don’t be fooled by the taste of these protein bars. Just because they taste like something for a sweet treat, they are packed with protein and lean on sugars. There’s no hidden blends, banned substances or useless fillers in Ohyeah protein bars. They are high protein, gluten free, zero trans fat for on the go nutrition with award winning taste. You’ll find up to a whopping 30 grams of protein for muscle building with heart healthy fats , and low sugar. That’s why OhYeah just keeps on setting the standards for nutritional bars. These bars have been around for over a decade now, and steadily improving. This company prides themselves with the best bars, drinks, and supplements to be found. Great flavors, nutrients and competitive pricing makes OhYeah! One Bars the logical choice for protein bars for both nutritional value and taste. Muscle Pharm Combat Crunch protein bars haven’t been around as long as the ones we mentioned, but they’ve definitely made an impression on the fitness market. There’s a good chance you recognize them from the Arnold Schwarzenegger series, and athletes everywhere are using them. Muscle Pharm can be counted on for flavor and nutrition. Muscle Pharm uses fast and slow digestive protein isolates that helps with immediate recovery as well as lasting for a couple more hours in your system. Their 20 grams of protein in a bar gives you the essential nutrients you need to start a quick recovery process after a workout. The nutrient scale in these bars make them a great snack for anytime of the day whether you’re working out or not. The fact is that because Musclepharm is dedicated to fitness buffs and bodybuilders they produce very healthy protein bars. You’ll find them staying on the low side of carbs and fat for alignment with your own macros. Apart from the huge amount of protein in each bar, Combat Crunch bars bring your 12 grams of fiber. Combine that with only 210 calories and 5 grams of sugar and you have a nutritious protein bar with a soft texture and rich taste. The fact is that it’s always great to see fiber listed on a nutrition label for protein bars. 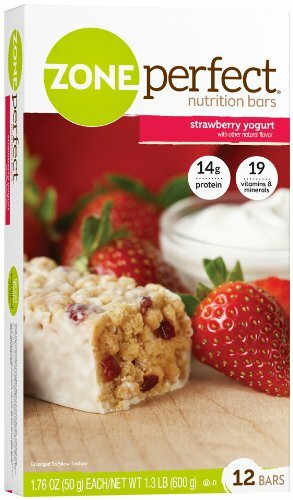 These protein bars are gluten free, and use natural and real products for their flavors. Because they include natural ingredients such as nuts, check the ingredients against your allergies. You’ll definitely find MusclePharm to be one of the better tasting protein bars, and they are huge compared to other bars. They are baked bars using baking process that brings superior taste and a soft texture. They simply aren’t like the hard paste and chewy taffy like sports bars some of are used to. Instead Combat Crunch bars are more like eating a soft batch cookie, and you will love them. Brad Pyatt founded MusclePharm after 4 years in the NFL because he was fed up with supplements not working. He dedicated the company to making amazing nutritious supplements for performing athletes. Even though Brad no longer runs the business, the company still believes in producing the highest quality products possible. 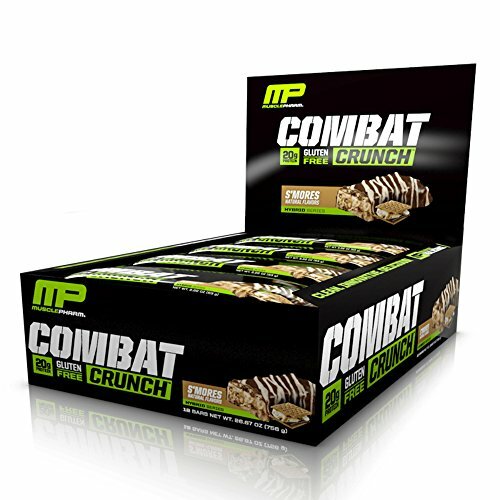 You can depend on Musclepharm Combat Crunch Bars to deliver for your best workout recoveries. I’m sure you know you can find Cliff Builders Protein Bars in seemingly every grocery store. I think they may be the most widely know protein bar of all. There reputation is solid and long lasting. They provide high quality protein, plenty of essential vitamins, and macros to anybody, athlete or not, for a great energy boost. These protein bars may not be for dieters though? They come packed with close to 3 hundred calories, 20 grams of protein, and a rather huge 29 grams of carbohydrates in a bar. But to tell you the truth this could all be a benefit to anyone burning a lot of calories during a workout, needing a energy boost, or just trying to add mass. For starters, the 20 grams of protein along with the calories and carbs can be filling after a workout when your body is still burning calories at a high rate. And they can actually make a meal replacement because they are filling. The twenty three essential vitamins and minerals will get you a good start on reaching daily vitamin and mineral needs too. 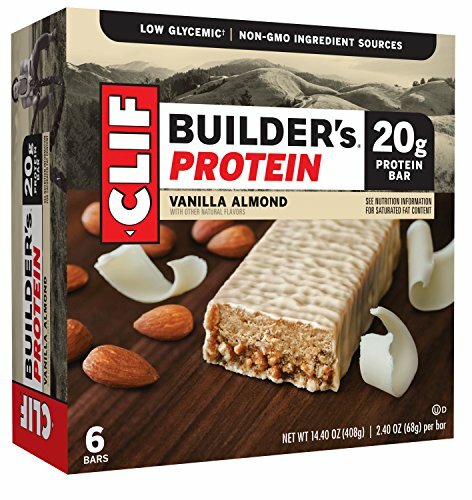 First thing you may notice about Clif Builder Protein Bars is that they aren’t tough like so many others. You will find them soft with a rich flavor that comes in first according to many reviews. Clif Builder bars have a distinctive and crispy chewy texture made from 35% organic ingredients. They have no hydrogenated oils or trans fats, and is a cut above many other protein bar options. They are entirely natural protein bars for people who really wring out their bodies during a good workout. Whether you’re a man or a woman protein is an essential ingredient when it comes to muscle building, dieting for fat loss, and recovery from workouts. High quality protein bars deliver quite a nutritious punch for a snack or faster recovery. The great part is that protein bars don’t require shaker cups or blenders, just tear open a wrapper and dig into your favorite flavor. Protein bars are much more economical to eat and use for your best health when you purchase them in bulk rather than stopping by a store on the way home from the gym. So take a look at look at the protein bars above and check the prices. You could be on your way to being a protein bar aficionado of these guilt free snacks.